In the realm of beer, Blue Moon is a great equalizer. It's marvelously inoffensive! People who don't like beer will drink it consensually! Everybody doesn't dislike it, which is pretty impressive for a beverage that tastes like a fermented creamsicle. Starting next month, however, the stuff is about to please an even larger crowd: Blue Moon's founder, Keith Villa, is releasing a non-alcoholic rendition of his lauded wheat beer, infused with THC. Our great nation has warmed slowly but surely to the legalization of marijuana. State-by-state policies claiming that weed is, in fact, chill, continue to shift into place, one after the other, and apparently, Villa was more than ready to abandon ABV in favor of THC. 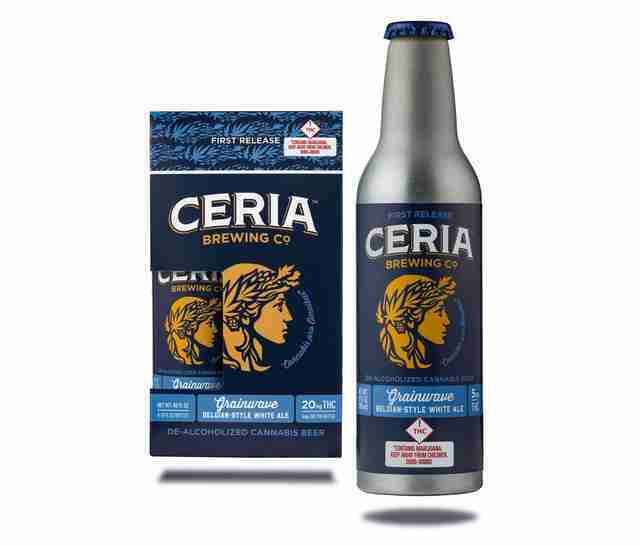 Now, from Ceria Brewing Company -- the independent brewery he now mans with his wife -- comes a THC-infused Grainwave Belgian-Style White Ale. The stuff will go on sale at the start of December in cannabis dispensaries across Colorado, Food & Wine reports. If you're thinking Villa's new product sounds precisely like Blue Moon, you're not wrong. But it is, of course, a completely different beverage, because now consumers will get high, not hammered. Courtesy of Ceria Brewing Co. 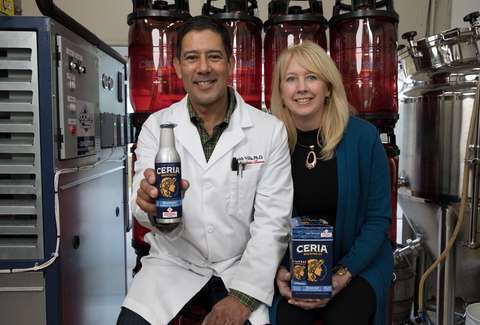 According to a press release from Ceria (rhymes with "area"), each individual beer "will contain precise 5mg doses of fast-acting THC with a similar onset time as alcohol" and retail at $9 a pop. The concoction will be "brewed and de-alcoholized under Dr. Villa’s guidance and exact specifications," so you can expect the same sort of quality and attentiveness that brought Blue Moon into prominence. While the first release of the stuff will only take place in Colorado, Ceria plans to distribute pot-brews to states where recreational marijuana has been legalized within the next year. And by that point, Villa hopes to have non-acloholic THC-infused riffs on an American light lager and an IPA to offer. Even better, each individual Belgian-style ale contains just 63 calories, so it's probably an effective diet tool. Until you get high. Eliza Dumais is a news writer at Thrillist who feels totally fine about Blue Moon. Follow her on Twitter.